This was posted a while back from the Happiest Bride on the Block contest, BUT... I couldn't resist to share their endearing words with you. 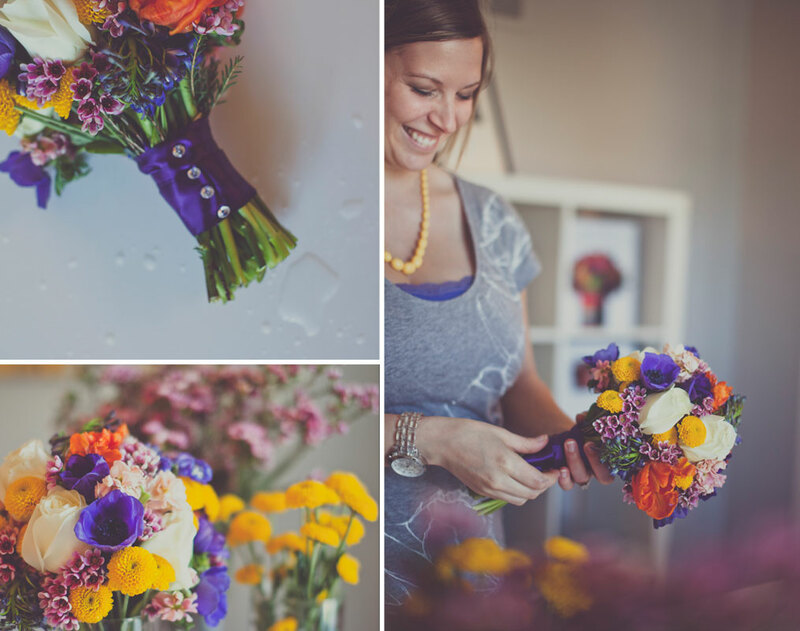 Ashley Hack, owner of Mokara Floral Design, is a true florist. She doesn't just like working with flowers, she doesn't just dabble in botany, and she certainly isn't just a little knowledgeable about gardening. It's like she talks to flowers and they speak back, no more like they GAB back and let her know all about who and what they will look good with. So Amy and Jenn of HBotB asked Ashley about her secret, and simply replies, "Flowers just make me happy! I really like the power that flowers can have. "Anyone familiar with her work would then assume that just matching her level of excitment and enthusiasm would give you the same skills, but like any good bloom, her success and brilliance came with time and effort.